Considering that Euro hasn’t rebounded from the level of 61.8% and continues consolidating near it, there is a strong possibility that the price may start a new ascending movement. In this case, the target will be the level of 78.6%, where there are several more fibo-levels. 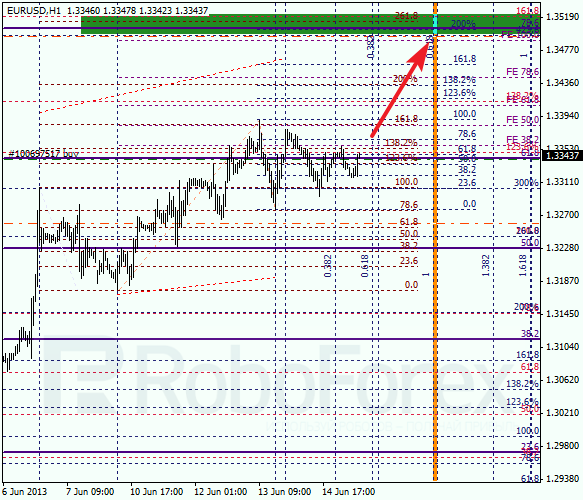 The previous temporary target at the H1 chart indicates the start of a new correction, but not a possible reverse. According to the analysis of the temporary fibo-zones, the level of 1.3500 may be reached by Wednesday. Most likely, the market will break the maximum during the next several hours. In case of Franc, the current ascending movement also doesn’t looks like a reverse. We can’t exclude a possibility that the price may continue falling down and the bears may reach a new minimum. The target area is at the level of 0.9050, where there are four different fibo-levels. 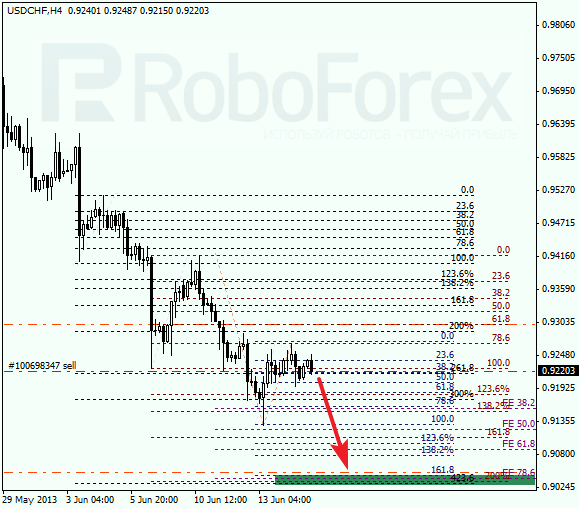 According to the analysis of the temporary fibo-zones at the H1 chart, predicted targets may be reached by Wednesday. During a correction, I opened a short-term sell order. If later the price rebounds from the lower levels, Franc may start a new correction.